The IOC, the Olympafrica Foundation and the FC Barcelona Foundation (FFCB) have announced a new agreement to bring sport to people of all ages and abilities throughout Africa. 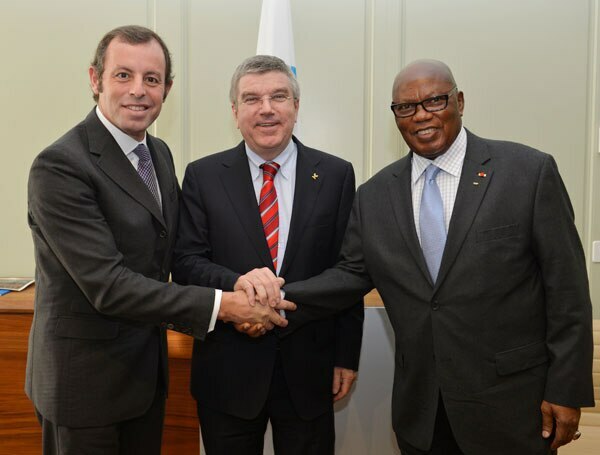 Following the success of a previous pilot programme, IOC President Thomas Bach, FC Barcelona Chairman Sandro Rosell, and IOC honorary member and President of the Olympafrica Foundation and the Association of National Olympic Committees of Africa (ANOCA) General Lassana Palenfo today signed a Memorandum of Understanding (MoU) at the IOC headquarters in Lausanne. This agreement will see the Olympafrica FutbolNet Cup being developed and implemented until 2016. The programme will use the network of the 39 Olympafrica centres throughout the continent to promote values of sport and education through to 2016. This new agreement follows on from the MoU signed on 17 April 2013 between the IOC and the FC Barcelona Foundation, supporting joint actions in the area of development through sport and the promotion of the Olympic values. 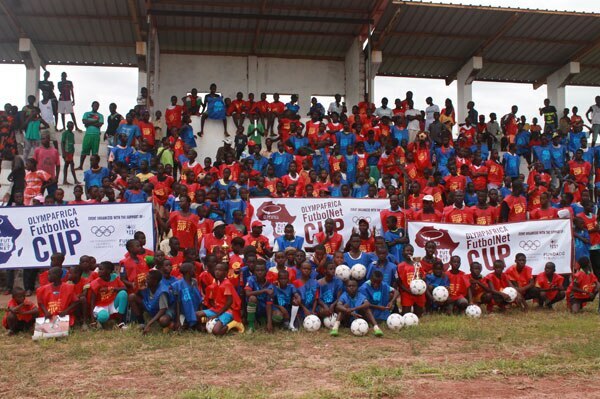 The two sports organisations made a commitment to strengthening the Olympafrica Foundation’s existing football programme on offer in community sports centres to young people throughout Africa, adding an educational aspect thanks to the implementation of the FFCB’s FutbolNet method. FutbolNet’s objective is to pass on the positive values of sport to the young participants through the pleasure of playing and practising football. This year, the Olympafrica centres in 23 African countries hosted 26 local tournaments for 12 to15 year-olds, held over two months. 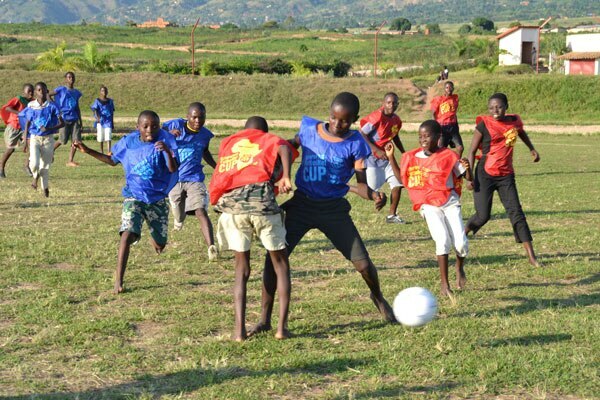 Furthermore, a regional tournament took place in May in Burundi, bringing together teams from the Olympafrica centres in neighbouring countries. The programme was greatly appreciated by the 65,000 young participants who took part in the Olympafrica FutbolNet Cup in the various centres, as well as by the Olympafrica educators. Finally, the sports equipment provided to each centre, including balls and jerseys, contributed to the success of this pilot project. As from next year, all the operational Olympafrica centres will benefit from the Olympafrica FutbolNet Cup programme, with some 100,000 young people participating. The number of regional tournaments will also increase gradually, and a continental final will be organised from 2015 onwards. Olympafrica, which was initiated by the IOC, aims to further social development through sport and promote the creation of small-scale sports and socio-educational centres in African countries, in collaboration with National Olympic Committees and local communities, in order to encourage and assist the development of talented youngsters through local training programmes. The idea for such an initiative was first launched in 1988 to enable developing countries to benefit fully from the positive impact of Olympism. Today, the Olympafrica programme offers a wide range of sporting, social and educational activities for young people and communities in 39 centres across 35 African countries.